So today we woke up knowing that our girl could officially be ours…. Our nerves were in jumbles. I could hardly eat, the boys couldn’t get enough. Funny how different people process things 🙂 Solomon picked us up and we headed to the Gladney offices. We met with Belay and headed to the courthouse. We entered a small room that was filled with adoptive parents, and birth parents who were waiting to relinquish. It was so hard. I searched the eyes of the people sitting there…some with hopes of a future with a child and others releasing their child so that they may have a future. It was so emotionally charged, I don’t know how I made it through that wait without losing it. The judge finally called our case back. We entered her office and she proceeded to ask us questions. Of course my voice was quivering the whole time. I was so thankful for your prayers because I was able to confidently answer all of her questions without being a blubbering mess. I was so happy to be able to share that we had a community of adoptive Ethiopian parents, and especially a beloved niece from Ethiopia as well. She then asked us if we realized that when this was done, Melawit would be ours forever and couldn’t be changed. I wanted to stand up and shout YES!!!!! However, I was able to practice restraint. We went to eat lunch at Top View to celebrate, but honestly all of us were so emotionally exhausted we were just in zombie land. However, it was nice to sit and have a coke and laugh at the fact that we could finally say she was ours. So VERY thankful for His love to give us this gift in her. We left lunch at came back to the Bejoe to change clothes and catch our breath. Then we headed to Kolfe the boys orphanage in Addis. Most of the boys were at school, so it was kind of barren. We toured the bunk houses, and talked with the few boys who were there. They were between 9-13 and they took the kids to the soccer field to play a little. As a mom I wanted to hold each of these boys and tell them they are loved and worthy. I looked at my sons and couldn’t imagine them sleeping on the cold, hard bunk…bathing by a faucet outside, responsible for washing their few pieces of clothes themselves and hanging them to dry outside. When I return we want to have a party for these boys and buy an ox to feed them. Speaking of Belay, he is like Santa Claus in Ethiopia. All the children flock to him and yell his name. He cares and loves for each of them, and my heart is so touched by how he cares for his people. He truly is a gift here, and I am so thankful that we have had the honor of getting to know him. We then went to Trinity Church with Belay as he took us through Ethiopian history, and the practices of the Ethiopian Orthodoxy Church. We were all transfixed as we learned so much of Melawit’s heritage. Belay prefaced one event with “make sure you remember this, it’s important to tell Melawit”. Of course, we were hanging on every word. He then shared his own story, of how at the age of 11 his father was assassinated with 60 of the most powerful men in Ethiopia (including their last emperor) by the Communist party. This time period is known as the “Red Terror”, and it lasted 17 years. His mother was put into jail for 10 months. Their houses and cars were confiscated. He and his 4 sisters were able to seek political asylum in the U.S. There they worked there way through school, paying for their education. They are an amazing family. The last government orphanage in Addis, Kebebe Thisaye. This is were infant boy and girls go through age 8, before going to Kechene and Kolfe. I will leave out the descriptions, but it was hard. Find me in person and I would love to share. Wells rocked and fed a baby that was 1 day old, he had to leave the room twice to cry. Bella our stalwart rocked a tiny baby until we had to leave. This little one had cried every time a person put her down, so Bella rocked her to sleep and gave her comfort. Josh played with a little one named Mimi, who just stared into his eyes. Orion loved on a little boy who was precious. I fell in love with a little one named Christina who was 7 weeks old, but probably only weighed 6-7 pounds. She was beautiful. Once I comforted her to sleep, I picked up a little one who I am guessing was 7-8 months. She was laying in her crib just whimpering, wanting attention. I whispered prayers of her body, and told her of her Father’s love. I prayed for a family that would share that love with her. When they finally told us it was time to leave we were shell shocked. We had planned to go to a nice dinner to celebrate, but could hardly eat the bread as we ALL sat and stared and wept for those who are waiting, big and small. We have a lot to process together, and I am definitely thankful for this gift that we were able to share together. It has brought us so close together, and united in our desire to help the beautiful people of Ethiopia. I pray these updates reach you and make sense, they are just my stream of conscious. Tomorrow we plan for our final visit with or sweet cheeks, then the long journey home. Our hearts are changed forever, and we are so thankful for His provision that we were able to share in the beauty of all of HIS people. What an absolutely touching and heartbreaking blog post. 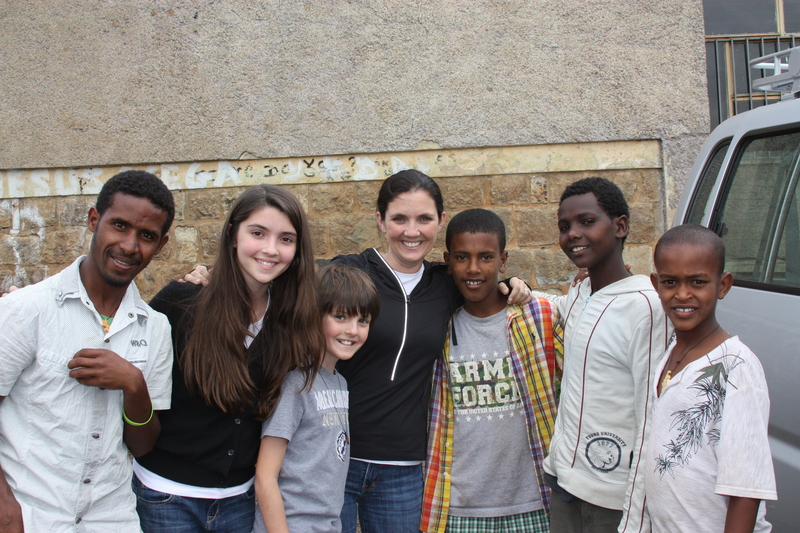 Thank you for sharing this and painting a vivid picture of the orphan situation in Ethiopia. I have just recently found your blog. I read through a bunch of your posts and have been sitting here crying. Your family is beautiful. Your story is beautiful. Sending loving thoughts to your family and your new little one! Very emotional to read this. Can you believe I’ve never been to the government orphanages (besides Kolfe)? On another note – you have a picture with Dawit! He’s the one on the left. I’m his “american mom” 🙂 Such sweet boys there!